At long last, we have procured a female Chinese Pheasant as a mate for Bert. This lovely little girl is from the same farm Bert is from, and she is still pretty young and small. 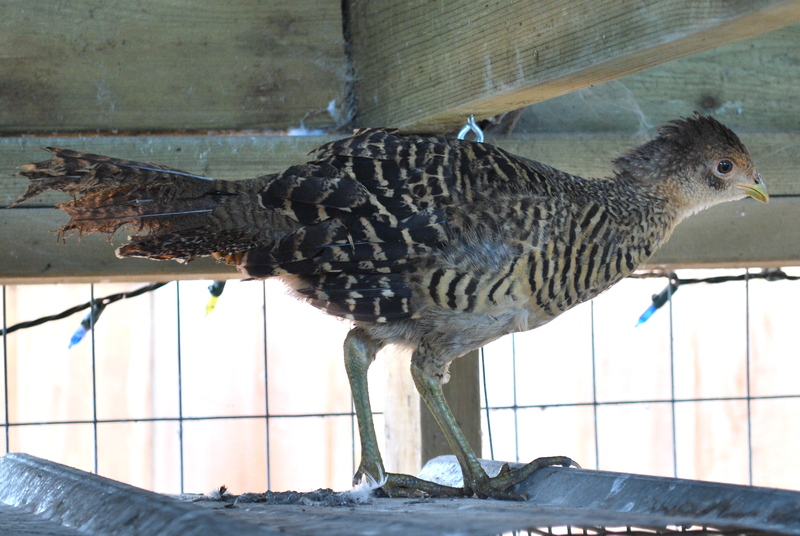 She proved just how small by slipping through the 2 by 4 inch mesh of the chicken pen about a half hour after being released. Since she can fly very well already I was sure she would just be instantly gone and I would never see her again. I’m so glad I stayed around to observe! I nearly had a heart attack while I slowly tried to sneak up on her with my bird net. I’m convinced my time at the Raptor Center helped me with assessing her body language. Luckily I managed to nab her right as Mushrooms the cat walked nonchalantly by and scared her up to the fence. One good swipe and she was mine. Now she’s temporarily in a cage while I arrange a more suitable place for her. Bert of course is overjoyed, and is glued to the side of the pen where her cage is located, displaying his beautiful plumage for her. While she was loose in the pen with him he was very respectful, keeping his distance and not crowding her, which was nice to see. What a bird. 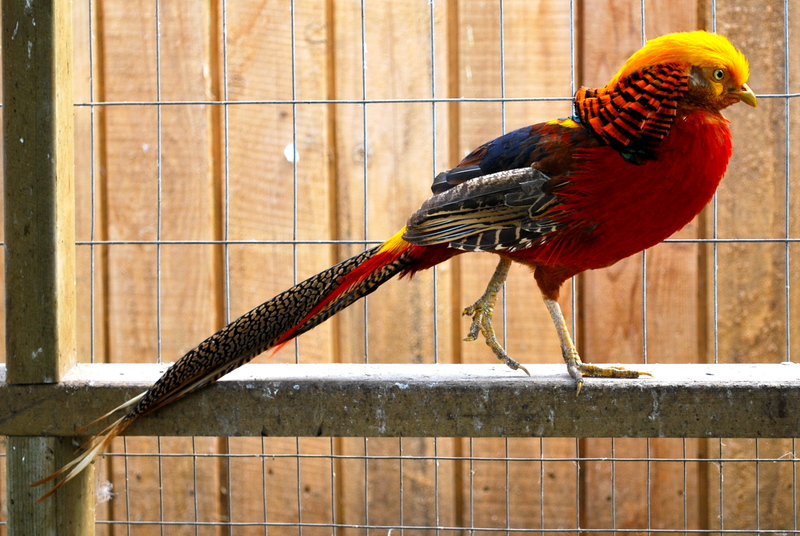 This entry was posted in golden pheasants and tagged breeding pair, chinese pheasants, juvenile hen, red golden pheasants. Bookmark the permalink. I will tell him you said that.